Where are the Nike SB Fans? 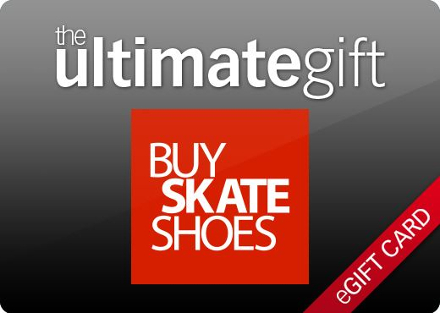 Here comes another great contest for BuySkateShoes.com. We have Janoski skate packages for couple very lucky BuySkateShoes.com fans. You are instantly entered to win one of the above Janoski packages with any Nike SB Purchase! The “Ride Like Janoski Raffle” will end October 31, 2011. The competition is fierce already, so hurry up and get your name in the raffle. Enter as often as you would like. Free Fitted Hat with any KR3W purchase! We are consistently in flux here at Buy Skate Shoes. Every month our crew is getting together, to try and “top” the previous month’s giveaway’s and contest’s. We are always, and I mean always, giving away promotional items. And this month is no different. When the folks at KR3W Denim Co. approached us with swag, the rest is almost history. The free gift with purchase ends June 30th. Buy Skate Shoes April Contest Winner! Man I digg these letters! Our bro on the West Coast sent us some love last night! And what better way to share it then with everybody? As you may already know, BuySkateShoes.com is running a new contest every month. This past April we worked with Enjoi to give one lucky customer some sweet goods! Keep reppin BuySkateshoes.com and Enjoi Homie. We got your back! If you’re an artist…or just have a little creative edge to you, you should definitely participate in this promotion. Drawing, Painting, Printmaking, Photography, Sculpture…it doesn’t matter. All media and all aesthetic sensibilities will be considered. Submissions will be accepted through Saturday, April 30th. email your submission to contest@BuySkateShoes.com (just…be sure to keep the file size under 300KB). We will be announcing the winner via our facebook page on Monday, May 2nd (give or take). So…yeah…have fun with it. And…good luck to you all. Last updated by Rhett Whatley at September 5, 2012 .